Discipline leads to business greatness – ask Jim Collins. ≈ Comments Off on Discipline leads to business greatness – ask Jim Collins. At the moment I am considering the focused application of The Three Resolutions to business and young people, and part of the research includes reading of that classic on successful business, “Good to Great” by Jim Collins – that’s where I saw the Frankl quote and, like many I use, it struck a chord. I’ve written before about how responsibility is an essential counter-weight to freedom, so won’t labour that point. The reason for this entry is the study of the chapter in Collins’ book which is headed by that quote. It is about how important the application of discipline is within a successful company, but with the caveat that it is not system-, management- or hierarchy- imposed discipline that has made the difference in the ‘great’ companies. No, the success relates to self-discipline of the staff. One point Collins made is that the discipline wasn’t something injected at the 4th point on his Greatness Process Diagram. It was something that already existed at each point. The right people on the bus showed discipline. Finding the right vision required discipline. Deciding on, and focusing on the core business required discipline. And execution required discipline. Discipline is an essential in all activity, indiscipline undermines your efforts. Freedom is a great thing to have, but it requires discipline if you are truly going to enjoy it. We expect discipline in those who serve us, so absolving ourselves of the duty to be disciplined (e.g. ‘because we have earned it’) is selfish, arrogant, irresponsible and disrespectful. Referring back to Collins’ example, the great companies did not impose discipline, they employed disciplined people who had the freedom to work (in a disciplined way) within and around the business’s systems so that the objectives could be properly achieved. Those disciplined people designed the systems but weren’t then confined by them. They were guided, yes, but not tied down. I often bemoaned the way that organisations I worked with placed the system over and above the purpose – I used the expression ‘process at the expense of purpose’ because of the times I perceived that a success was criticised because a procedure wasn’t followed to the letter – e.g. finding a missing child instead of filling out the forms first. Collins’ suggestion is that the objective is paramount (provided it is ethical, of course) and if a process prevents it, it is the process that is wrong, not the objective, and the authority of the disciplined manager was such that s/he could work outside the procedural box to get things done without having to spend time worrying about the administrative consequence. But the emphatic point was always – discipline made it possible. Self-discipline, then systematic discipline, and then execution discipline. But in the final analysis, given the ability to work imaginatively – it was self-discipline that mattered most. *I’m still reading it, that’s as far as I’ve got so far. But why wait? Profound wisdom in two words. Occasionally, we have off days. In 2010 I was present at an event in London when Dr Covey spoke to an assembly of about 1,000 fans, after which I was able to briefly speak with hi and get an autograph. I was unable, despite an invitation, to spend more time with him because I had a commitment to my wife to collect her from Victoria Station – being strangers in town I wasn’t prepared to leave her waiting while I indulged myself. (I still partly regret that….) Here’s the pictorial proof. During the event they sought questions from the crowd, and I prepared to ask a question but time prevented me having my turn. In 2011 I was at an invitational seminar where he spoke in the UK for the last time. As the attendees gathered outside, a familiar olive suited, bald gentleman walked around a corner straight towards me, and he read my name out loud from my name tag. Like a teenager meeting One Direction for the first time I screamed….. sorry, no, I just blathered a greeting and waited for him to speak more – while he waited for me to speak. After an awkward silence someone dragged him away. Another opportunity missed, and although I grabbed him for another autograph just before lunch I never took the opportunity to ask him the question I’d prepared a year earlier. The truth was that I wanted him to say to me what I already knew, but which I could then use as ‘profound wisdom’ because he’d said it and I hadn’t. So, in my minds ear, he said this. “Try harder.” Ouch. The First Resolution – Why is it First? In his seminal work The Seven Habits of Highly Effective People Dr Covey explained how the 7 Habits worked on a continuum, where self-mastery came before interpersonal mastery because, frankly and concisely, one could not master relationships until one had mastered oneself. You cannot truly be an effective part of a team/club/organisation/family until you have identified your part to be played in that structure, and prepared yourself to enact that role to the best of your ability. An effective individual contributes, provides advice and is able to consider the rights and wrongs of any action taken in respect of things which affect the ‘team’. An ineffective person is one who has not mastered self to any degree, and is therefore often a ‘people-pleaser’, who has no sense of self except to the degree that others define it for them. They tend to act in accordance with whatever the group supports, regardless of the rights and wrongs, because they want to be seen by that group as one of them. Ergo, self-mastery is a precursor to, and positively affects optimum interpersonal effectiveness. This isn’t to suggest relationships weren’t possible without self-mastery, only that they aren’t all that effective. To the degree that self-mastery is a pre-cursor to interpersonal effectiveness I would argue that of the Three Resolutions, this first one is a precursor to mastery of all three, and without it there can be no mastery of any of them. In fact, commitment to the Second and Third Resolutions requires adherence to, or application of the First Resolution in some respects, because discipline and self-denial serve one’s character, competence and ability to serve other people and noble causes. Without self-discipline one cannot be a true master of self, and this should be borne in mind by anyone seeking to ignore the benefits, strengths and challenges of self-discipline and self-denial. To be accurate, Dr Covey’s work appears from its tone to refer only to self-discipline in terms of the physical self – control over ones physical appetites in terms of eating, drinking, rest and exercise. This is because (my readings of Mormon literature would suggest) his particular religion considered that proper respect of the body as the temple through which God’s work is done is an absolute requirement of their faith. I am not overly aware of any other religion that stands on this tenet but then I haven’t read that widely. I, on the other hand, believe that the First Resolution can be interpreted more widely than that, and can be applied to our entire existence – physically, yes, but also mentally in terms of our application to education, relationships, work and personal lives. Application of the First Resolution is important in the physical dimension, certainly, but that is only part of the equation. It can apply to all four of the human dimensions identified by Dr Covey and whose existence has been supported in various ways by other respected writers in the fields of sociology and psychology; namely the physical, mental, social and spiritual dimensions. Physically – do you exercise? Are your eating habits sustainable or are they killing you? Are you a slave to your stomach or to any other physical vices? Mentally – are you a reader? Do you read pulp fiction or is your focus on non-fiction/quality fiction? Are you up to date professionally? How about current affairs – do you understand them or do you focus on ‘Okay’ and ‘Hello’ magazines? Socially – do you spend all your time alone or do you mingle? Are you nice to people or do you detest company? Do you like yourself or not? Spiritually – is your life filled with purpose or are you an example of Zig Ziglar’s ‘wandering generality’? In all areas, are you exactly where and what you wish to be? If not, why might that be? Is it because you aren’t doing what you know you should be? This question frequently arises in all of us and in all four areas: Where do you find yourself unable to apply self-discipline and self-denial to the degree that your conscience tells you is having an effect on your personal effectiveness in any area of your life? I’ll continue on this vein next week. •	I am committed to the pursuit of health and fitness so that I can and do demonstrate self-discipline and athletic performance. I also do this to increase my personal productivity. I honour my body by putting into it only that which serves its wellbeing. I do this to promote my ability to perform my chosen and imposed roles and to help me comply with my Mission Statement. •	I am committed to personal growth. I study through reading and experiential learning, and I make broader knowledge the objective of my studies. •	I seek out and enjoy new adventures and experiences, overcoming personal doubt and by focused effort. •	I take the time for spiritual awareness through solitude, and through the use of nature as a source of peaceful meditation. I demonstrate competence and character, doing and being my best. •	I am a congruent model of Principal Centred Leadership to my family, friends, colleagues, and those I serve in all my roles. •	I am an excellent husband, father, friend and colleague. •	As a professional I understand and perform congruently with the productive expectations of any organisation through which or for which I perform my services. I focus on my employers’ vital priorities and I motivate my colleagues to the same end. I maintain my objectivity, I perform at a standard of excellence, I remain current in laws and practices and I comply with the ethics of my profession and my Unifying Principles. •	I demonstrate high levels of skill and patience in driving. •	I demonstrate proactive patience in daily living. •	I am diligent and considered in my use of the English language, and I am a highly competent public speaker. I serve noble causes, enabling others to do and be better. •	I dutifully ensure that the causes I serve now and in the future receive the best service I can provide by being diligent, enthusiastic and supportive to those institutions and the people within them. 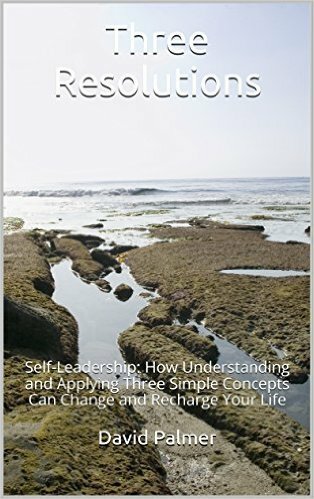 •	I make the effort, take the time and seek out opportunities to spread the philosophies and methods of personal leadership and values-based time management whenever possible. •	I make the effort, take the time and properly invest the means required to build a nurturing, comfortable and supportive home environment that all those who live or visit there can enjoy. •	I preach my philosophy constantly and, where necessary, I use words.